The Ness - 605. The menacing Dogs of Doom threaten Corrie's peaceful life. What are their intentions? Sinister changes in weather patterns warn of impending disaster. The Calibans are advancing. Brixton, London, 2005. Elderly Mrs Prend is burgled. Mysteriously, the only thing stolen is an old book that she calls The Spellbinder. Si, a distant relative, finds himself drawn into the mystery when his dreams start to converge with unfolding events. Masters skilfully weaves together the two narrative strands in this magical thriller. An archetypal battle of good and evil ensues and each side seeks to employ the Maverick Magic, which refuses to submit to the will of either side only allowing itself to be temporarily harnessed. Set on the bleak Kent coast by Dungeness, the story arises out of the spirit of place, which Masters is renowned for evoking. 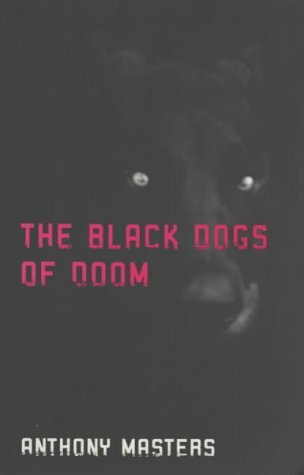 In part 1, the threat is rendered through powerful prose: 'One of the black dogs lifted a leg and ejected a steady stream of urine on to the sea cabbage that grew out of the pebbles. Slowly the plant began to turn an acid green, its brittle leaves scattering in the salt breeze.' The suspense is palpable. So it is disappointing that the writing is less arresting in part 2 and some of the encounters with the dark side do not live up to the promise created in the earlier chapters. Nevertheless, this is an exciting and satisfying story.